Operators all over the world are seeing a rapid ROI! 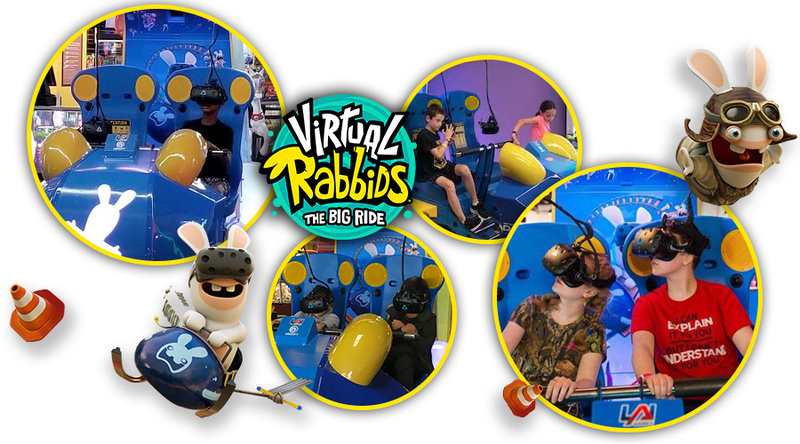 We are often asked by operators if we can share some data on how Virtual Rabbids: The Big Ride is performing in the market before deciding to add the attraction to their venue. We’re happy to say that many operators are reporting between 800-1,000 plays per week. At $5/play (average) per player position, they are seeing a very healthy return on their investment. In some busy locations the number of plays per week exceed 1,700! Frank ‘the Crank’ Seninsky, President of the Alpha-Omega Group – RePlay Magazine July 2018. Want to see more Rabbids on location? Check out our gallery on Facebook and make sure to follow LAI Games! (How to) Maximize your Virtual Rabbids Performance to make sure you are getting the best ROI. 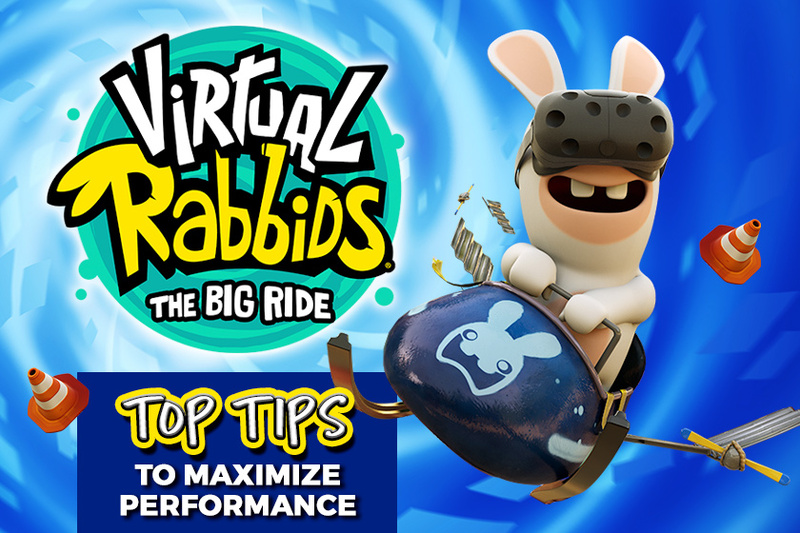 With several hundred units sold globally in the last 10 months, we thought it was time to share our best tips to help you make the most out of your new Virtual Rabbids: The Big Ride. Keeping stock of your available consumables is key to maintain the game’s performance and ensuring your Virtual Rabbids never misses an opportunity to earn you revenue. Check the head straps regularly and make sure the Velcro is still strong. We highly recommend changing out head straps every 1,500 plays. There is nothing worse than having to hold onto the Vive headset while riding, and this is a very simple item to maintain to provide the most enjoyable game experience. NEW & IMPROVED! – We have taken customer feedback and have designed a new head strap that lasts much longer between changes! Get your VR consumables now. It’s good practice to gently wipe down the Vive headsets daily using the products supplied with the game, or at a minimum every couple of days. Dirty face pads and smudged lenses do not provide a great experience for players. Before cleaning, remove the face pads from the headset and remember to use a damp soft cloth to gently wipe down the pads. Let them air dry completely before putting back. Do not scrub, wring, or bleach. Do not dip or soak in water. Foam face pads will eventually wear out. Taking proper care of them can slow this process down but eventually, you will need to change them. We recommend replacing them every 1,500 plays. Always make sure that there are enough disposable face masks available to maintain hygiene. Offer players a trash can to throw away used masks to avoid having them littered around the game. Both the mask and face pads keep the headset components clean & germ free. Don’t wait until you run out of something to place an emergency order. You’ll save on delivery costs by ordering more… less frequently. That means knowing your usage patterns, planning ahead and encouraging your team to notice when supplies are starting to run low. Place an order once a month – or even less often – depending on your needs. People love to watch each other play Virtual Rabbids: The Big Ride! Make sure to keep the area around the front of your cabinet open so spectators can gather and watch the hilarious player reactions and overhead video during the ride while waiting for their turn. We’ve put together a completely FREE promotional kit of print and digital artwork that’s ready to use or customize with your logo to help you promote your new Virtual Rabbids attraction. Both the emergency stop button and the safety sensors have the power to stop all motion during game play. Ensure the area around the safety sensors is clear and the sensor windows and reflectors are clean and free of any obstruction. We suggest setting a regular schedule to check that the stop button and safety sensor inputs are operating correctly. Check your Virtual Rabbids game manual on page 34-35 for step by step instructions on checking and calibrating the safety sensors if necessary.